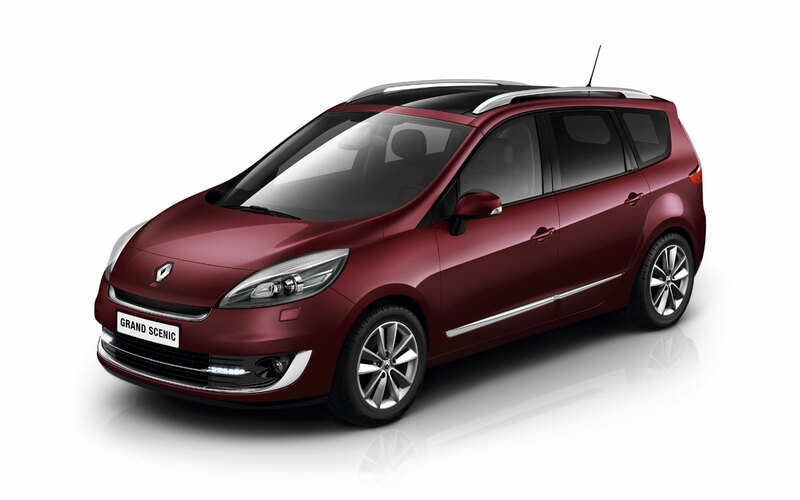 Europe’s number one compact MPV range rings in the New Year with renewed versions of Renault Scenic and Renault Grand Scenic. To ensure they continue to stand apart in their fiercely competitive segment, the 2012-generation Scenic and Grand Scenic form an even more attractive package thanks to revised front-end looks and upgraded cabin finishes. The petrol Energy TCe 115 and diesel Energy dCi 110: two new engines which combine performance and outstanding fuel efficiency. Scenic Energy Collection 2012 dCi 110 delivers record-breaking low fuel consumption (4.1 litres/100km). Technology: Renault's compact MPV is the brand's first model to be available with Visio System® which includes a Lane Departure Warning function and automatic activation of the main-beam headlights. 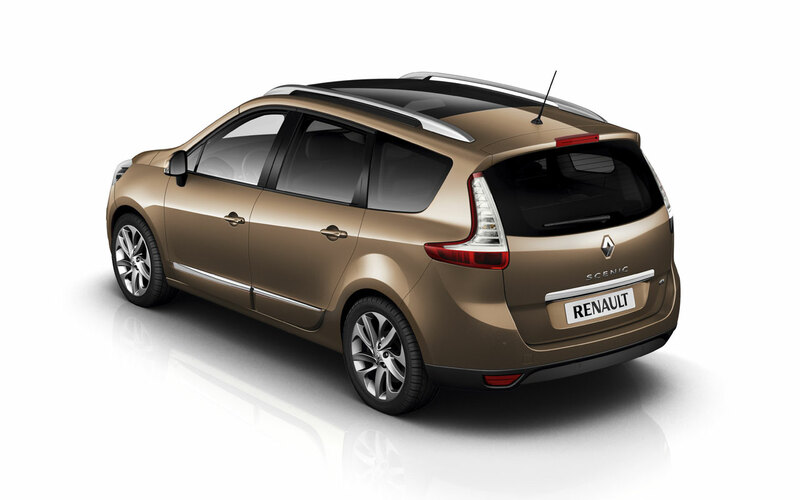 Hill Start Assist and indicators with lane change function are both standard equipment across the Scenic range. Scenic Collection 2012 has just made its first public appearance at the Brussels Motor Show in Belgium and is due to reach Renault showrooms in some 40 countries in the course of 2012. In the year leading up to May 2012, the engine line-up for Scenic and Grand Scenic will have been extensively revised following the introduction of three new Energy family powerplants which feature lower fuel consumption, CO2 emissions and running costs, along with enhanced driving enjoyment. 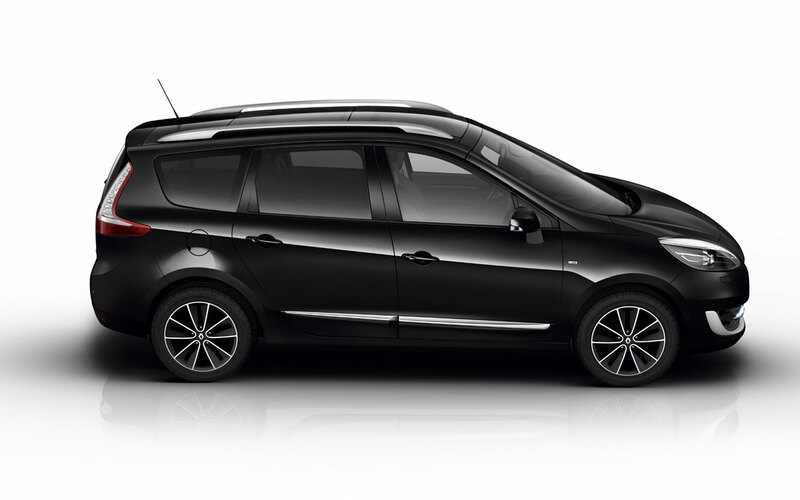 The Energy dCi 130 has been a popular choice for Renault's compact MPV since its introduction last May. Scenic Collection 2012 is the first Renault model that can be ordered with the new Energy dCi 110, which is an extensive metamorphosis of the brand's best-selling 1.5 dCi. Later this year, Scenic will be available with the brand new Energy TCe 115 petrol engine. Scenic has been available with the Energy dCi 130 engine (R9M) since May 2011. This 1.6-litre powerplant combines strong performance with unprecedented fuel economy. Indeed, fuel consumption standing at 4.4 litres/100km (equivalent to 114g of CO2/km) which is a 20 per cent saving compared with the engine's predecessor, the 1.9 dCi 130 (F9Q). When this engine was introduced, Renault Scenic and Grand Scenic were able to claim the lowest fuel consumption in their class. Scenic and Grand Scenic now also benefit from Renault’s latest diesel engine, the Energy dCi 110, an extensive metamorphosis of the K9K, itself a successful best-seller, with one million units sold in 2010. This new 1.5 litre engine boasts the market’s lowest CO2 emissions (105g/km), equivalent to fuel consumption of 4.1 litres/100km, which is a saving of 16 per cent. At the same time, torque has been increased by 20Nm to 260Nm (available from 1,750rpm) compared to the existing 1.5 dCi 110. Two new technological developments designed to enhance everyday travelling comfort and safety are available for Scenic, namely Visio System® and Hill Start Assist. 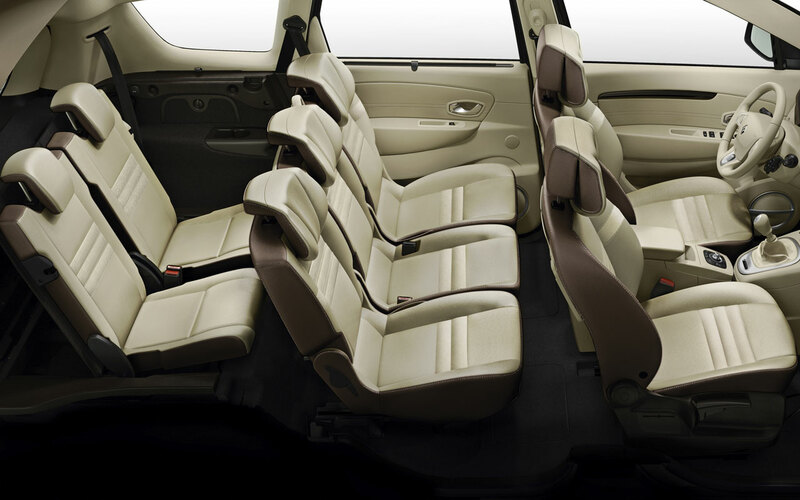 The Renault's compact MPV also offers an upgraded selection of multimedia equipment, while at the same time carrying over features that have contributed to the model's success, such as Carminat TomTom® Live navigation and Bose® sound. Lane Departure Warning system: a camera detects if the driver strays out of lane and triggers an audible warning. Automatic activation of main-beam headlights: the same camera also detects the lights of other vehicles and/or the presence of street lighting to automatically switch from dipped to main beam, and vice versa. Thanks to this system, the time that full-beam lights are used is multiplied by a factor of up to five, which means safer motoring for the driver and for drivers of oncoming vehicles. Other features designed to enhance travelling comfort are now standard for all versions, including Hill Start Assist and indicators with lane change function which warn other motorists when the driver is about to change lane by flashing three times following a slight flick of the indicator stalk. On the multimedia front, the range has been upgraded with the introduction of a new radio from the Expression/Authentique equipment levels up (depending on country). It is equipped as standard with Bluetooth, USB and iPod connectivity, while its intuitive fascia is even more userfriendly. Carminat TomTom® navigation and associated Live services (HD Traffic, advanced warning of risk zones, Google® Search, weather forecasts). A customisable multifunction TFT (Thin Film Transistor) colour dashboard screen which automatically displays information in a legible form as and when the driver needs it. In addition to new graphics, the display includes a variety of visual elements linked to the car's driver aids, equipment and safety features (Stop&Start, Hill Start Assist, Lane Departure Warning, door open warning, seat belts, tyre pressures, etc.). 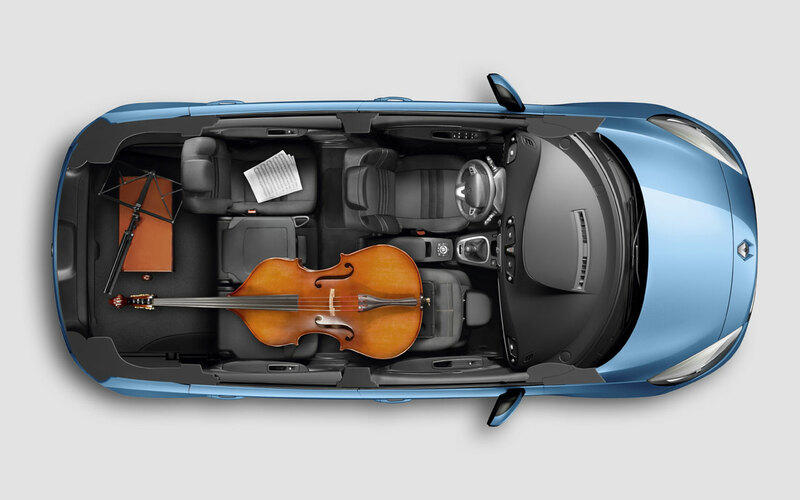 The satisfaction of tailor-engineered surround sound with the Bose® audio system.